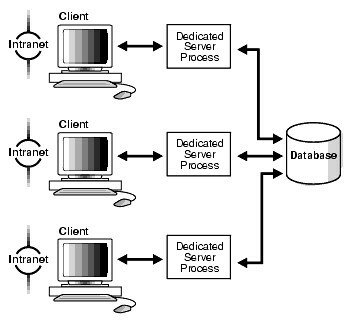 In a dedicated server architecture, each client process connects to a dedicated server process. The server process is not shared by any other client. PMON registers information about dedicated server processes with the listener. This enables the listener to start a dedicated server process when a client request arrives and forward the request to it.